I have to admit that now that college football season is here I’ve been spending a lot of time working on one of my other websites, UteHub.com. I’m a University of Utah Utes fan and built that site as a forum and fan “hub,” and it has been quite successful. I built a game there to allow the members to pick the weekly Pac-12 football games, called Pick Em. I have some neat prizes, and the grand prize is a custom belt from NXT18 Golf. Check it out. I reviewed a milled belt by NXT18 Golf back in 2015. It’s a Hooked on Golf Blog version. The new college version is a little more mature and cleaner looking I must admit. Plus it works with a standard belt, which is interchangeable. 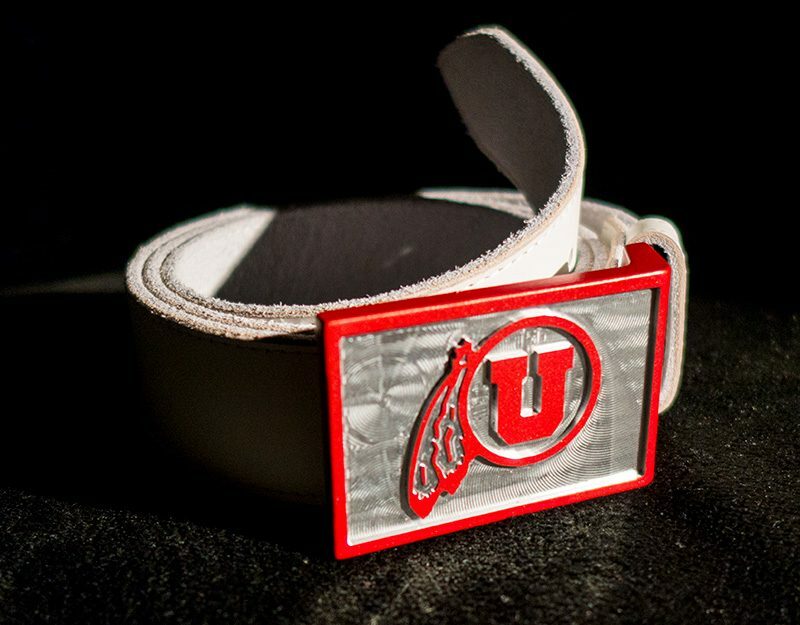 My new Utah Utes belt is great. I’m wearing it proudly, even this moment. 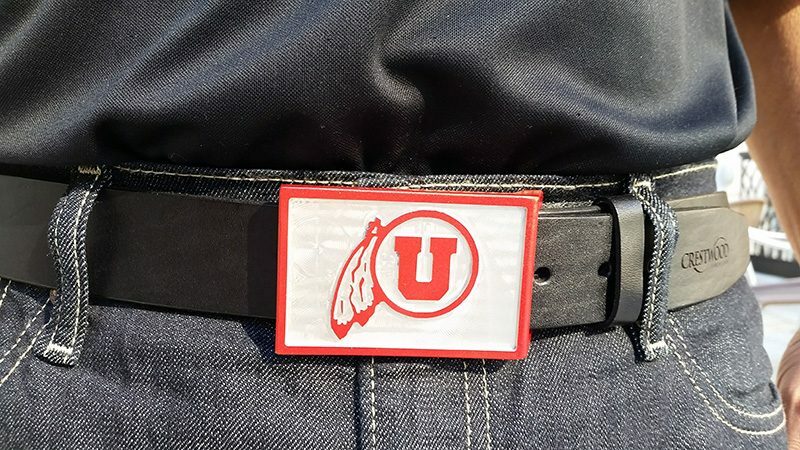 If you want a belt like this, or with your own custom logo of your favorite team or golf blog, follow this special link for a discount and free shipping. Well it is that time of year, the “gift guides” are all over the blogosphere now. Ah, I remember back in the days when I did one of the only golf blog Christmas gift guides. Imitation is the sincerest form of flattery. 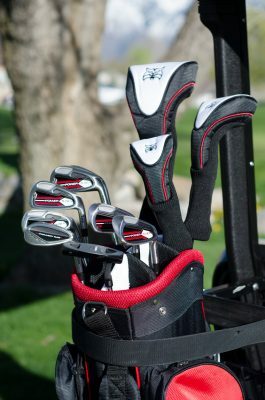 Today’s golf gift guide is specifically geared around golf apparel. 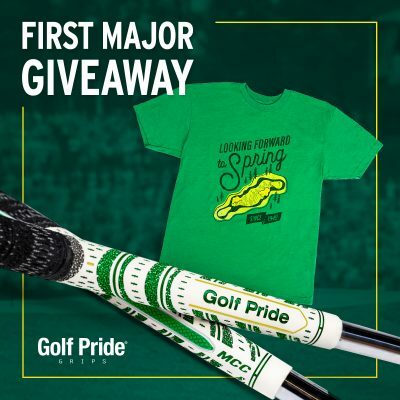 Featured below I have several golf apparel suggestions. Click the title of each one, or the image to read the full review. Happy Christmas shopping! If you follow my suggestions, your gift recipient will be very happy. I have to include the Hooked On Golf Blog 2014 Apparel Product of the Year. This is an absolutely amazing sweater, made from baby alpaca fur. I wore it today. The best golf shoes I’ve worn in 2015 are the FootJoy Hyperflex. These wild looking shoes have provided a very stable base along with comfort to last walking round after round. Dunning is one of the absolute best golf apparel brands on the planet. This 1/4 zip thermal has been a gamer in my golf scripting for nearly a year. So comfortable and so good looking. Any HOG reader knows already that Kentwool Socks are THE best golf sock, ever in the whole universe. Now they have colors for your favorite college teams. These aren’t cheap, but I REFUSE to wear any other sock. Get the person on your Christmas gift list a custom milled golf buckle and belt from NXT18 Golf. Send them a graphic and they’ll put it right on the buckle. 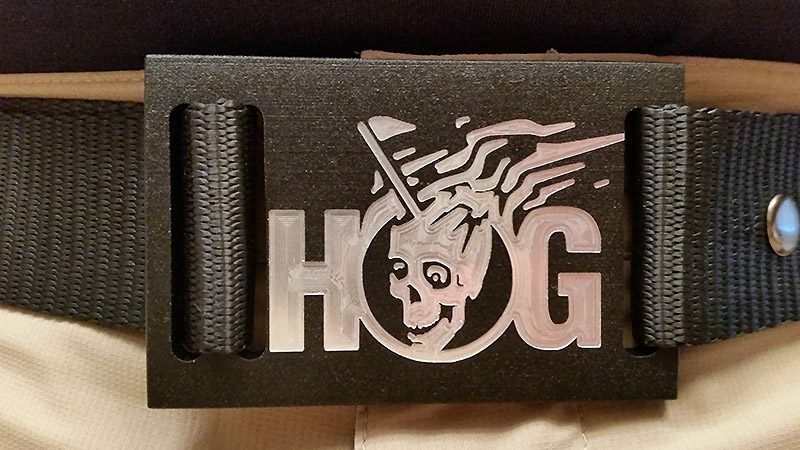 If you’re not sure what graphic to use, they have the HOG logo on file. 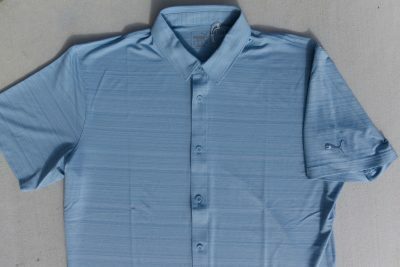 This golf polo is super comfortable, very classy and simple, and keeps the player dry even in the most humid conditions. Highly recommended. I present to you what I believe is the coolest belt buckle on this planet, and likely many other planets as well. These NXT18GOLF belt buckles are made from 6061 aircraft grade aluminum, individually milled and crafted, as well as hand-painted for each customer. 100% crafted in Massachusetts USA. 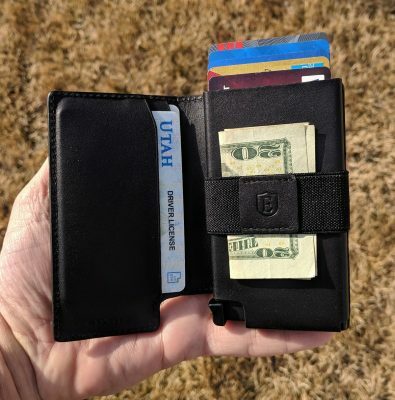 I just got the buckle/belt yesterday and will definitely put it through the rigorous HOG review battery, but on first impressions I really dig it. If you can’t wait to make your own design and have one made before I post my full review, hit NXT18GOLF.com and get it going. It’s super easy. Send them a logo, a few bucks, and a few days later you have an awesome custom belt.